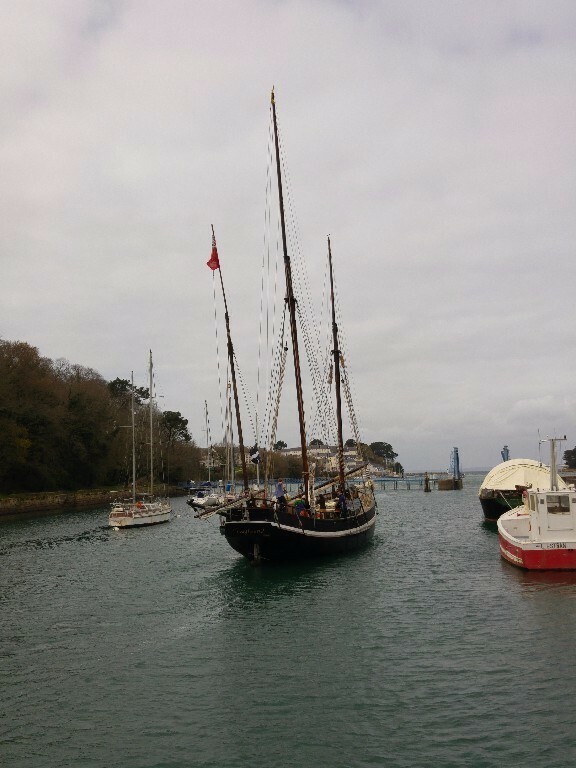 Just two days after her arrival in Douarnenez to deliver Cornish ales to TOWT’s Breton distribution network, the “Grayhound” is back at sea, bound for Plymouth. 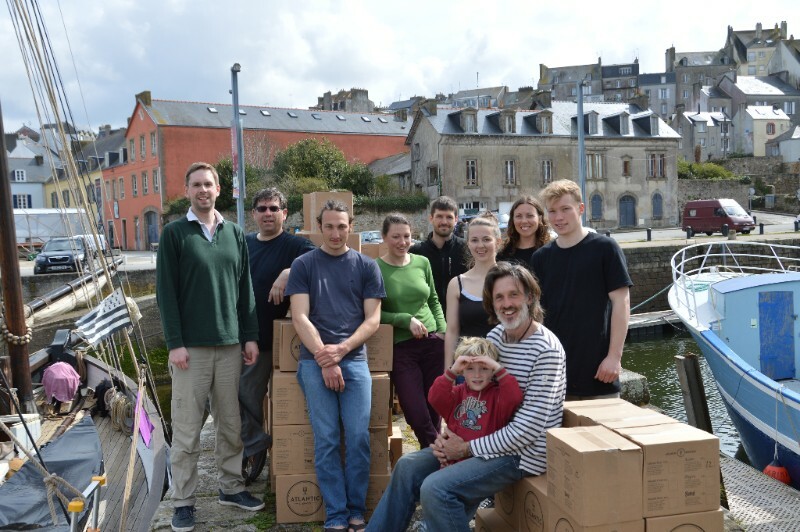 The 108-ft lugger is carrying TOWT’s organic French wines and ciders, destined for local distributors such as the Hidden Olive and Calstock Trade Wind Navigation. 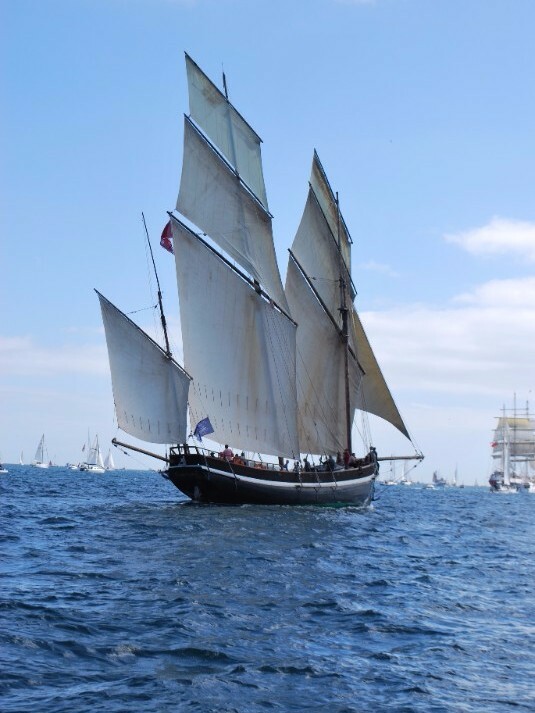 After loading Douarnenez sail-delivered French wines and Cornouaille ciders, the “Grayhound” has left the “Port-Rhu” on Wednesday, 6th at 4pm, tacking against NWies out of the Bay. Currently sailing North of the Breton shores, the crew expect prevailing SWies all afternoon and night, whilst crossing the Channel. The “Grayhound” is likely to reach the Hidden Olive in Plymouth Sutton Harbour on Saturday night. 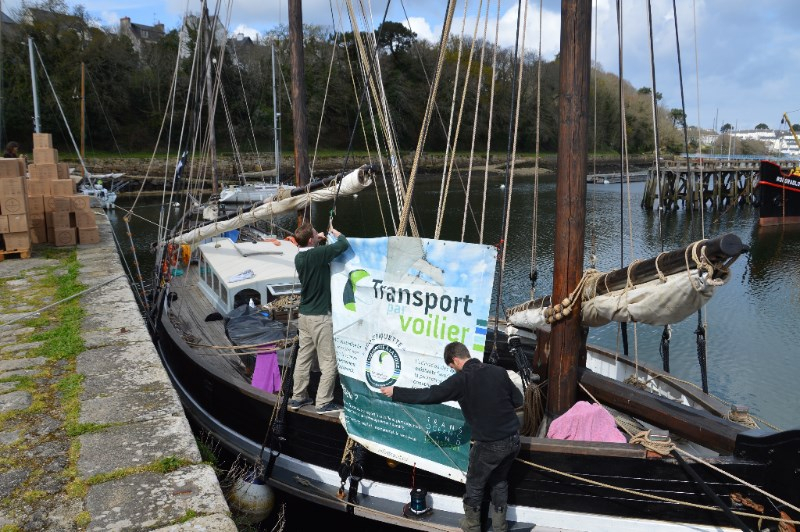 Weather allowing, the ”Veracity”, a 32-ft engine-free lugger, will moor alongside the “Grayhound” so as to load CO2-free sail-delivered organic wines that will then travel uptream on the River Tamar all the way to Calstock. 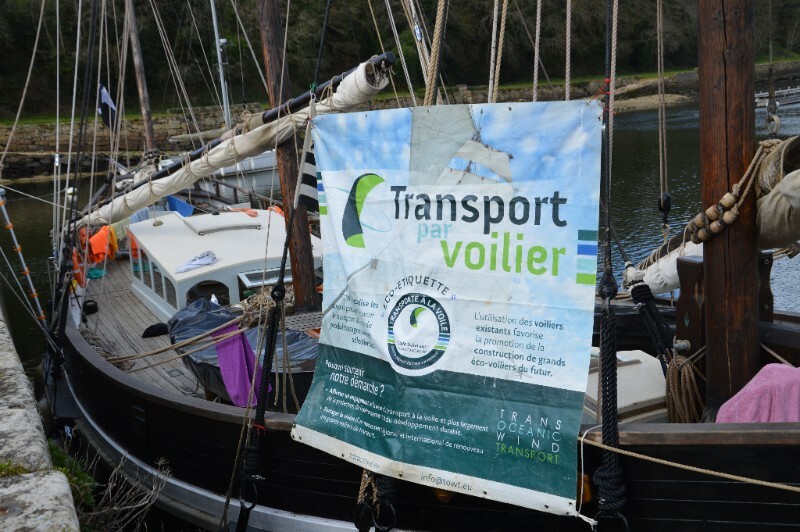 All the produces that is transported under sail, are identifiable with a quality label “Transporté à la voile” marking the carbon savings. With this label you can track the voyage using our website. Wines and ciders are all organic-certified and additive-free. “If we can’t source it locally, then we want to ensure that our produce is not only of an amazing quality, but also delivered to us in an as eco-friendly manner as possible. We are incredibly excited about working with TOWT and the “Grayhound”. Not only do we want to be as green as we possibly can, but bringing a tall ship and its cargo to Sutton Harbour is a fantastic opportunity for this marina that is so full of history. TransOceanic Wind Transport – TOWT Sail-shipping’s aim is to multiply cargo transport by sail power, anticipating energy transition, proving the viability and developing a clean-shipping certification, so as to allow the build of modern sailing cargo vessels.